OLYMPIAN Dana Faletic is this year's Australia Day Ambassador for the Derwent Valley. Tasmanian-born Faletic grew up in the municipality, attended local schools and started her rowing career on the River Derwent. As well as winning a rowing world championship gold medal in 2003, Faletic is a two-time Olympian and the winner of a bronze medal at the Athens Olympics in 2004. Making a comeback to the sport after having switched to cycling for a time, Faletic was part of the rowing crew that reached fourth place in the London Olympics in 2012. Faletic says that whenever she has represented Australia she has represented Tasmania even more passionately. She now works part-time in the Tasmanian Government and is a volunteer for Womensport & Recreation Tasmania, a not-for-profit organisation that aims to provide opportunities and a representative voice for the participation of women and girls in sport and recreation in Tasmania. With her experience being an elite athlete with her priority focused on training and competition, and also being a parent, Faletic wants to help Tasmanians to better value the participation and contribution of women in sport and recreation. Australia Day Ambassadors participate in local activities, assist with the presentation of local awards and deliver a short speech on what being Australian means to them. 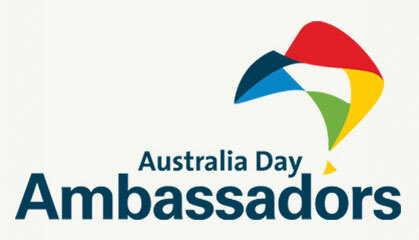 Across the country, more than 350 councils will host an ambassador on Australia Day. Faletic will speak at the Derwent Valley Council's main Australia Day events on the Derwent Esplanade, which start from 10am on January 26. * Molesworth resident Sally Wise has been named the Australia Day Ambassador for the George Town municipality in the state's north.